Consumers considering bankruptcy usually do so only as a last resort. If you are in this situation, you have likely exhausted all other options to keep yourself financially afloat, from selling off possessions to cashing out or borrowing against retirement accounts. If you have borrowed – or are considering borrowing – from your 401(k), 403(b), 457 or other qualified retirement plan, keep in mind that these loan repayments receive very different treatment, depending on whether you are filing for Chapter 7 or Chapter 13 bankruptcy, and can negatively impact your ability to qualify for a Chapter 7 discharge. If bankruptcy may be in your future, you should consult with an attorney before borrowing against any retirement accounts to avoid unintended consequences. Most who borrow against their 401(k) accounts do so because they need access to immediate cash and intend to repay the loan in the short term in order to preserve the funds for retirement and avoid the income tax ramifications of an early distribution. Unfortunately, bankruptcy trustees don’t see it the same way. In the trustees’ view, allocations for repayment of 401(k) loans result in an unnecessary reduction in disposable income that you would otherwise use to repay your creditors under a Chapter 13 plan. The primary difference in how these retirement account loans are treated in Chapter 7 versus Chapter 13 bankruptcy is in the “means test.” To qualify for a Chapter 7 bankruptcy, you must meet one of two conditions: 1) your household income is below the average income for your family size in your state; or 2) if your household income is greater than the average, but you pass the means test. In Chapter 7, the means test is used to help the court determine whether the debtor has enough income to fund a repayment plan under Chapter 13, rather than seeking a discharge under Chapter 7. The means test establishes a budget using “reasonable” figures as determined by the IRS. If your actual expense exceeds the “reasonable” figure, any excess is deemed to be disposable income available to repay unsecured creditors. Unfortunately for 401(k) borrowers, these loan repayments cannot be included in their Chapter 7 means test budget. As a result, under the means test calculation, any amount you are repaying to your 401(k) loan is actually deemed to be “available” to repay creditors under a Chapter 13 repayment plan. The trustees are concerned with making sure your creditors are paid, if at all possible, and are not concerned as to whether your failure to repay your 401(k) loan will cause you to owe income taxes or penalties. 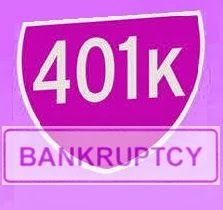 Under a Chapter 13 bankruptcy means test, however, 401(k) loan repayments are included as an allowable expense. The Chapter 13 means test is used to determine how much money should be paid to unsecured creditors as part of your repayment plan. By including the loan repayments as an expense under the Chapter 13 means test, the amount of disposable income leftover to repay your unsecured creditors is reduced. As you can see, with so many nuances and distinctions between the bankruptcy remedies available, it is vitally important that you share with your attorney all available information about every asset or debt – even when you just owe the money to “yourself”. No Surprises in Your Homeowners Insurance? A solid homeowners insurance policy can provide peace of mind about securing one of your most valuable assets. Unfortunately, many homeowners don’t fully grasp what exactly is covered under that policy, and most importantly, what isn’t. Homeowners insurance policies generally cover your home itself and other physical structures on the property. Your personal belongings also fall under most policies, along with property damage and bodily injury sustained by you or others on your property. You, your spouse and children, and any guests, tenants, or employees in your home can all be covered under this policy, just be sure to check when you purchase the policy. Sounds like they've got you covered, right? Not so fast; there are a number of possible perils that are often not covered under basic homeowners insurance. Knowing what falls into this category can save you a lot of time and trauma if you ever experience one of these situations in the future. The two main exceptions are earthquake and flood damage. The impacts of these natural disasters would not be covered by your standard policy. Earthquake insurance and coverage for some types of water damage can often be purchased as an addendum, but flood insurance must be purchased on its own as a separate policy. If you are falling short of your goal of home ownership because you don't have enough for a down payment, you may have overlooked some viable resources. Down payment assistance can be obtained through the FHA or the VA.
For instance, loans offered through the Federal Housing Administration or FHA are available to real estate purchasers with low to middle incomes. This type of financing is not prohibitive as it doesn't place restrictions on your income and features a lower down payment. Even people with less-than-glowing credit scores can be considered for FHA financing. In addition, if you are a Veteran, you'll no doubt want to consider applying for a zero-down loan. Plus, you are at a distinct advantage as you don't have to buy private mortgage insurance in order to be approved for financing. Obtain more information about the above programs by contacting us at your convenience. You can also visit our company website for further details. We look forward to hearing from you and working with you to realize your housing goals and dreams. 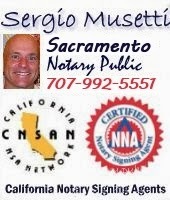 Sacramento Mobile Notary Signing Agent, Spanish Translation, Apostille service. 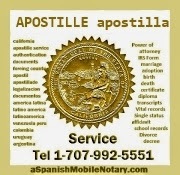 Servicio de Apostilla de California | Sacramento Estate Planning | Necesita Apostilla de emergencia?